There are somewhere between 5 and 10 apple trees growing mostly wild on the farm, and this year they hall been laden with beautiful apples. Mom, the kids and I picked these three bags full (from just one tree) last week. We made apple cobbler for dessert one night, and then I made applesauce out of the rest of it. Almost 18 quart jars in total, 6 of them with light cinnamon. The same day I did these, mom canned several jars of whole tomatoes, and we also made pasta sauce one day. A really bad picture of me doing the canning. I had on clothes I don’t care about getting dirty and my hair pulled back. Last night Dad, DH and Little Dude picked four more bags. 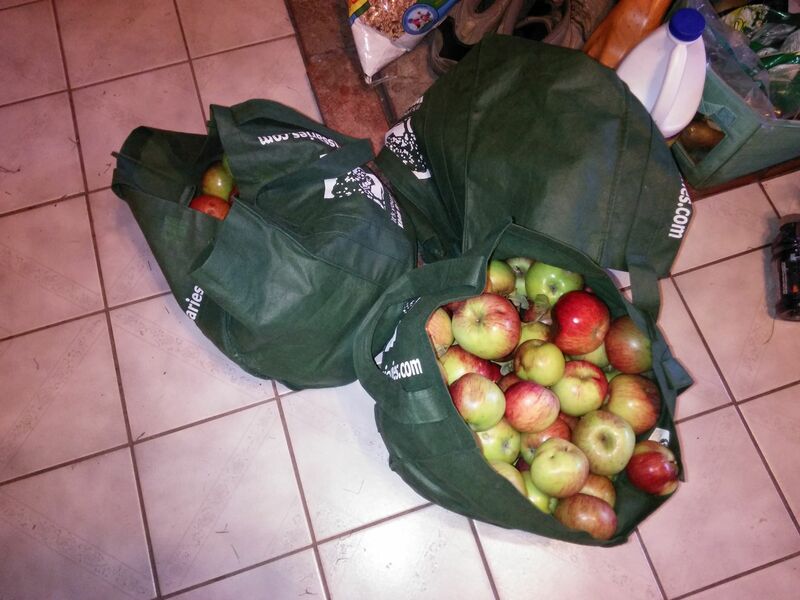 Those green bags hold about 27 lbs of apples. We’re using at least 1 bag of them to make apple butter. We’re using this recipe, which you can also find on my Pinterest page. ETA: Okay, so it was closer to 3/4 of a bag of apples. 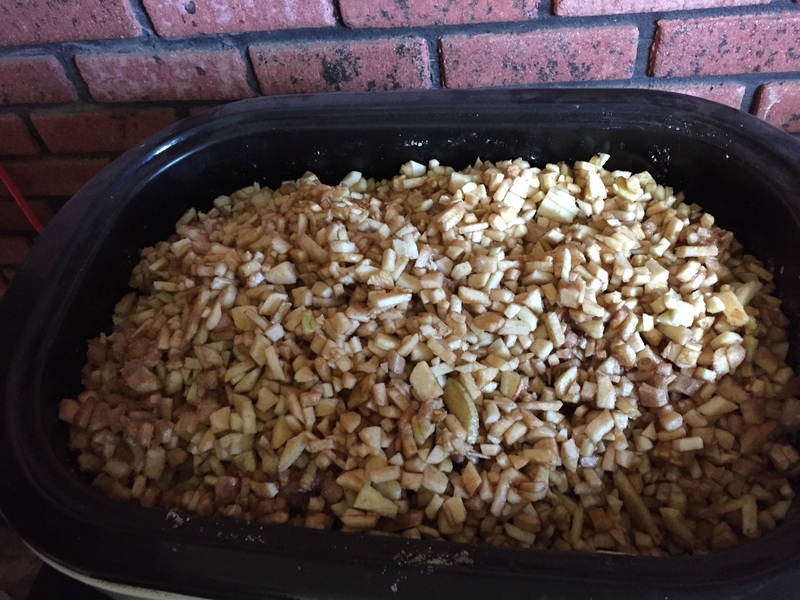 *g* We doubled the recipe for 11 pounds of peeled, chopped apples. The chickens, of course, are loving all the harvestables we’ve been collecting. They get the peels from the apples today!